* The power supply was slightly weak to handle the full starting current this is why a soft starter was deployed - of course - but again with the soft starter there was some voltage dip during the operation. * The cables were laid flat rather than in trefoil. This caused the cable impedance to increase and hence less voltage available to the soft starter-motor combination. * When the soft starter was configured in delta mode six cables were required (two cables per phase windings. this means that the cables are connected as two in series. This has aggravated the problem even further. In an application that has problem with ABB soft starter which is connected to motor 160kW, when try to start is shown "Fault Connection". It's already doing remedy with checking the cable and motor and found OK. But still not start, and also try with another cable and small motor 7.5 kW but same problem has come. And then try to start with option DOL START from local control, and the contactor is working and motor 7.5 kw is running. Another application faced similar problems with Gozuk soft starter fitted with around 300 HP induction motor. Soft starter running for several months suddenly says - 'Fault Connection', without any disturbance in motor cables and other connections. If the soft starter is configured as (inside Delta), the motor phase windings should be available as two connections per phase (W1- W2, V1-V2 and U1-U2). 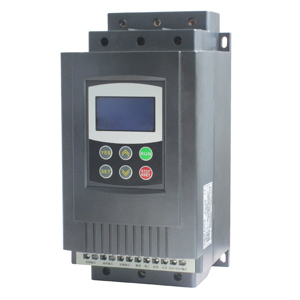 If the soft starter is configured as (inside Line) then the motor can be configured as either star or delta. Having said that, it's better keep the motor in delta configuration for maximum power. Make sure that you do your homework regarding the voltage, current and power calculations in all cases. If this doesn't help then I would suggest that either the motor, the soft starter or both are faulty. In the morning time only ABB soft starter showing Line/Delta Fault, this fault harassed 2 months to us, because it will be starting well on the generator, After the 1 hour starting on the generator it will starting on electricity normally. Soft starter engineers also failed to solve this problem. After many Discussion and R&D, we got a solution. Solution: In "All setting" default running set is "Auto" but the soft starter is confusing to start LINE or DELTA, we set as LINE, after this soft starter is running fine at all time.